Call it childish, but no matter how old we get, we’ll never get tired of crafting! Not only is it fun, but it makes for great (and inexpensive) dorm room decor. 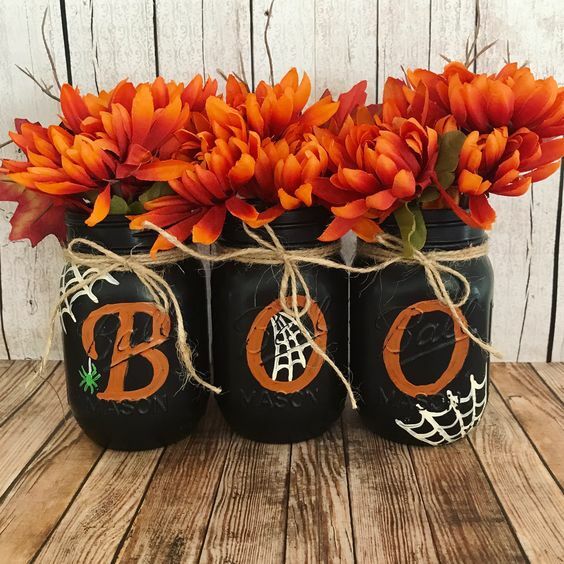 With Halloween right around the corner, we couldn’t pass up the opportunity to find some great DIY crafts to get our apartments and dorm rooms ready for Oct. 31. Whether you want to prep for your own Halloween bash or just love DIY projects, check out these nine easy Halloween crafts you can complete in your dorm! Start out by spraying the entire Mason jar white. Once dry, spray the middle portion of the jar with the orange spray paint. Finally, spray the bottom of the jar yellow. Repeat on the next two jars. Accent with assorted black dyed flowers. Trade in the traditional jack-o’-lantern for this glamorous alternative. 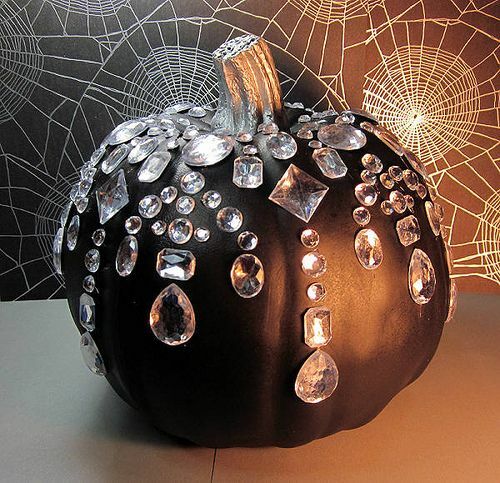 Simply spray-paint a pumpkin black (or buy a black plastic pumpkin) and add your favorite “bling” for some pizzazz. Start by removing all labels and residue from your bottles. Then, depending on the type of design you want, tape off part of your bottle using painter’s tape. Spray with the color of your choice over the taped-off area. Once dried, remove the tape and decorate with black Sharpie. If desired, add black glitter by mixing it with Mod Podge and painting over the black Sharpie. 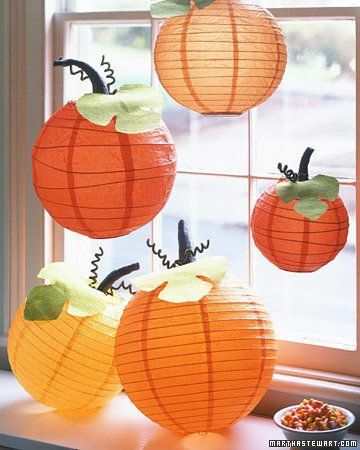 Light up your hall or living room with these easy-to-make Halloween lanterns. 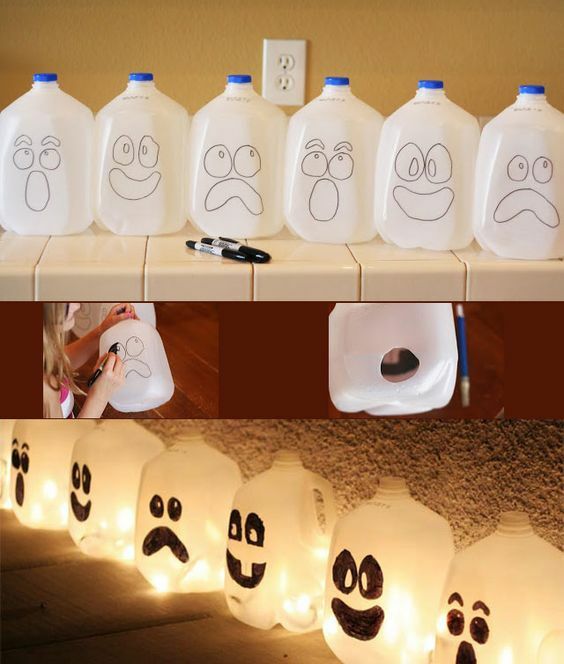 Start by cleaning out the milk jugs and decorating them with spooky faces using a black Sharpie. 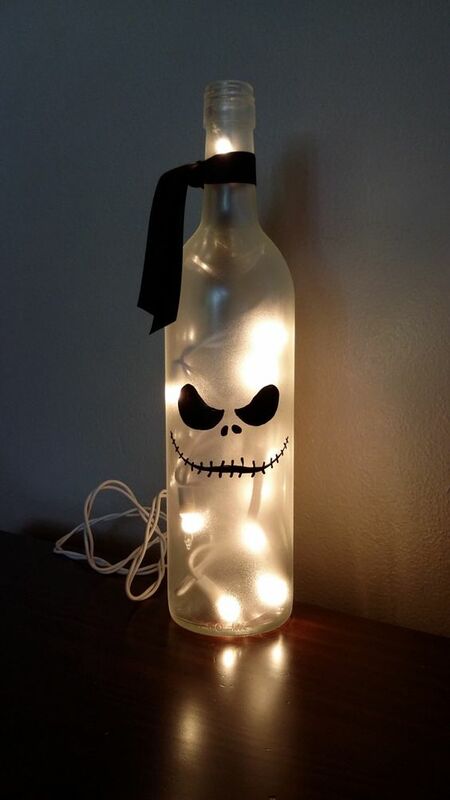 On the opposite side of the face, cut a small flap (about two inches wide and two inches tall) and string lights through the opening, adding five to seven lights to each jug. Using the green paper and pipe cleaners, create a leaf and tendrils. Attach the leaf and tendrils to the paper lantern by winding the ends of the pipe cleaner around the wire frame. Create a stem by rolling a few sheets of the green paper together into a tapered shape. Attach the stem to the lantern using glue. Secure by wrapping another pipe cleaner around the base of the stem and securing it to the wire frame. Cut a hole in the pumpkin’s base and hollow the pumpkin out. 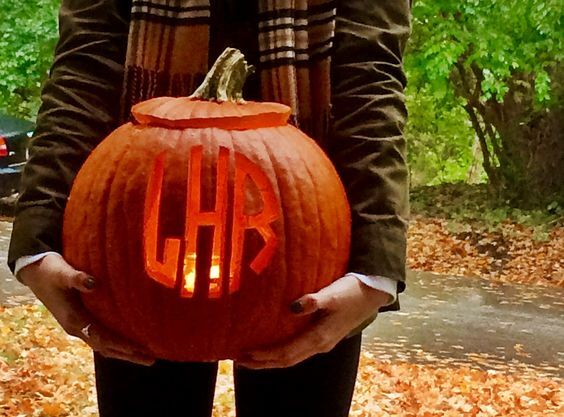 Tape the monogram template to the pumpkin using masking tape. Using pushpins, poke holes to create an outline of the letters. Use these dots as a stencil to carve out the letter, leaving about half the thickness of the translucent flesh of the pumpkin to allow light to show through. Light a candle inside and watch your pumpkin glow! 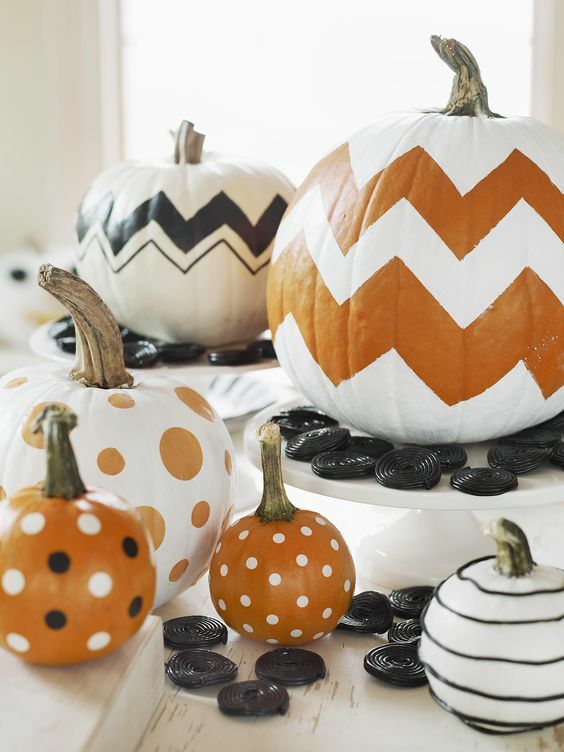 Using masking tape and scissors, tape a chevron design around the pumpkin. Spray-paint the pumpkin using any color spray paint. Let dry, remove the tape and voilà: a cute and classy Halloween decoration. 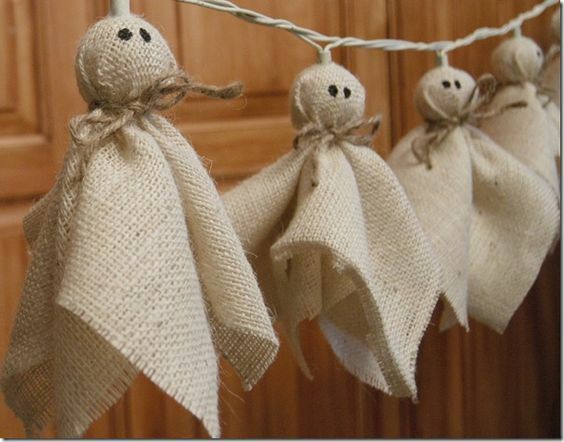 Add some Halloween spirit to your everyday string light décor by wrapping burlap around the globe bulbs. Tie the burlap pieces at the bottom of each globe bulb using twill string and let the remaining fabric hang. Add a ghostly effect by drawing two eyes on each bulb with the Sharpie marker. 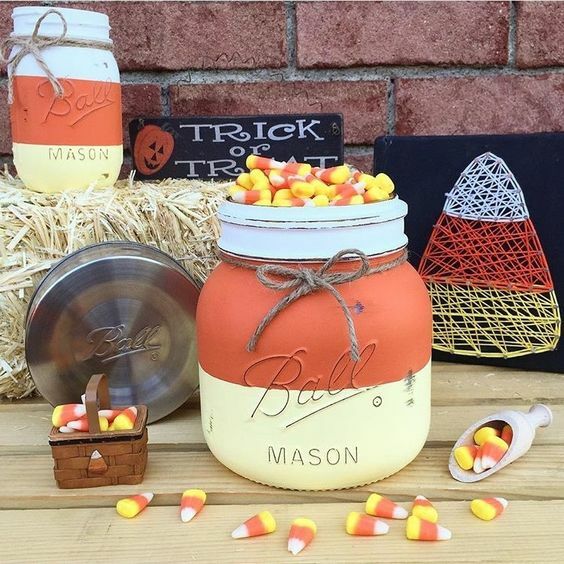 Now you just have to grab your DIY box full of Mason jars and spray paint and get crafting! Before you know it, your living space will be covered with just the right amount of Halloween decorations. Let us know how your crafts turned out! Lindsey is a senior magazine journalism major at Temple University. After she graduates in May she hopes to return to NYC, which she fell in love with this summer during her ASME internship at Real Simple magazine. Did You Know UTSA Was Designed To Be A Prison If It Failed?